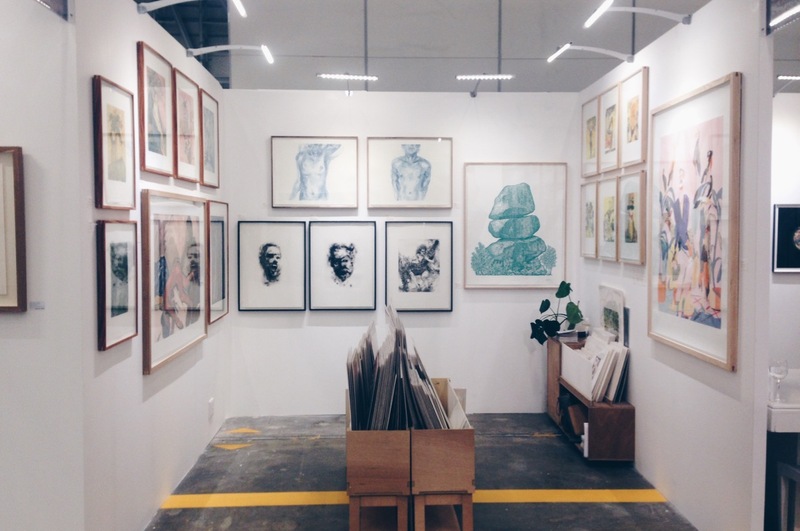 Warren Editions booth at Cape Town Art Fair 2017, featuring Mia Chaplin. Warren Editions took part once again in the annual Cape Town Art Fair, from 17 – 19 February 2017, where we were able to present some of the most exciting work that was produced in the studio over the last year. Direct gravure works made with Diane Victor, which captured her smoke drawings in print, and an etching titled Pietà. A linocut project with Dan Halter, using the image of the rock formation that appears on the now defunct Zimbabwean dollar in a range of different colours, satirising the release of the currency in increasingly outrageous denominations. On show was the green version. A monotype project with Mia Chaplin, the painter’s first sustained engagement with the medium, which was presented the previous week in our project space in a show titled The Making of a Sharp Blade. Two new watercolour monotypes – the first in a series – by Kate Arthur. The works form an extension of the monotypes shown in her 2016 solo exhibition, Things You Can Tell. For this new series, Arthur has developed her own blue pigment. We were delighted with the positive response to our work, and hope to see some of the new faces that we met in our project space soon. If you missed the fair, visit us at the studio to see the work we presented, as well as new projects that we are working on, and join our mailing list to be notified of activities and new releases. 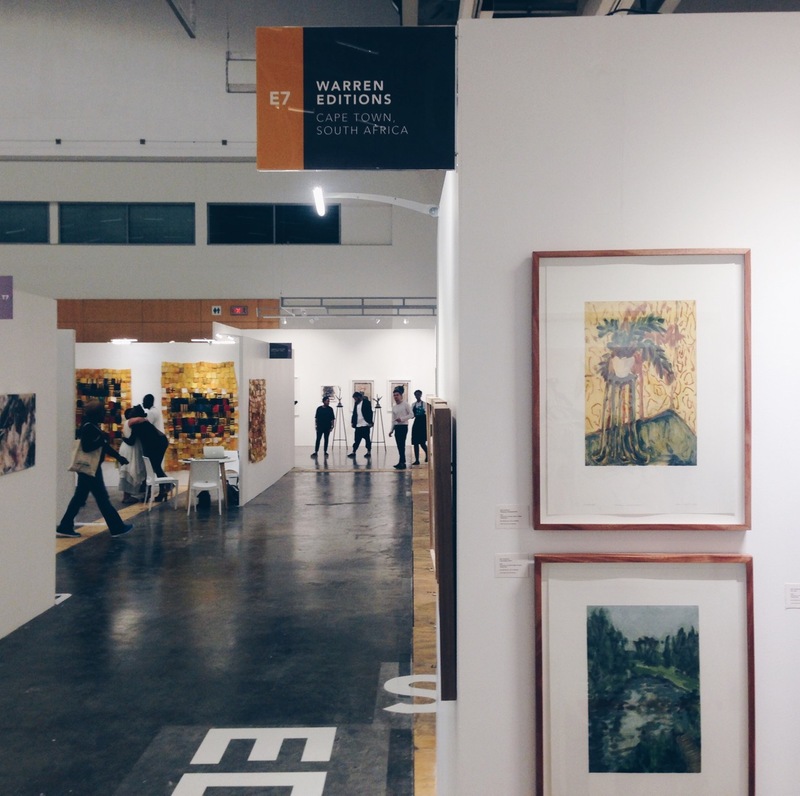 Warren Editions booth at Cape Town Art Fair 2017, featuring Mia Chaplin (left wall); Diane Victor, Kate Arthur and Dan Halter (back wall); and Michael Taylor (right wall).